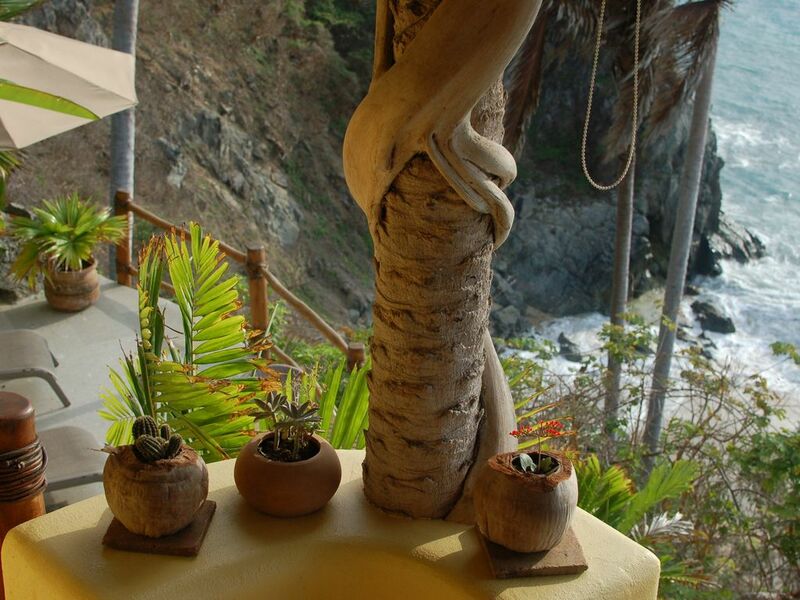 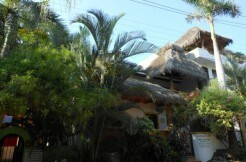 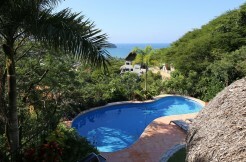 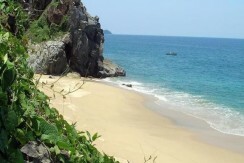 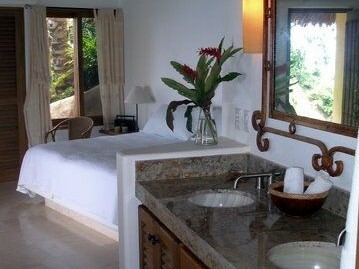 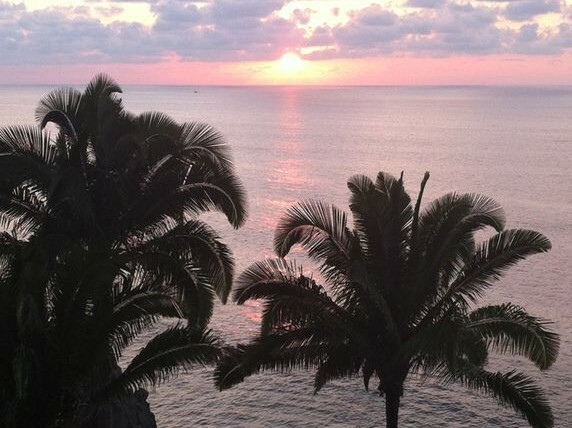 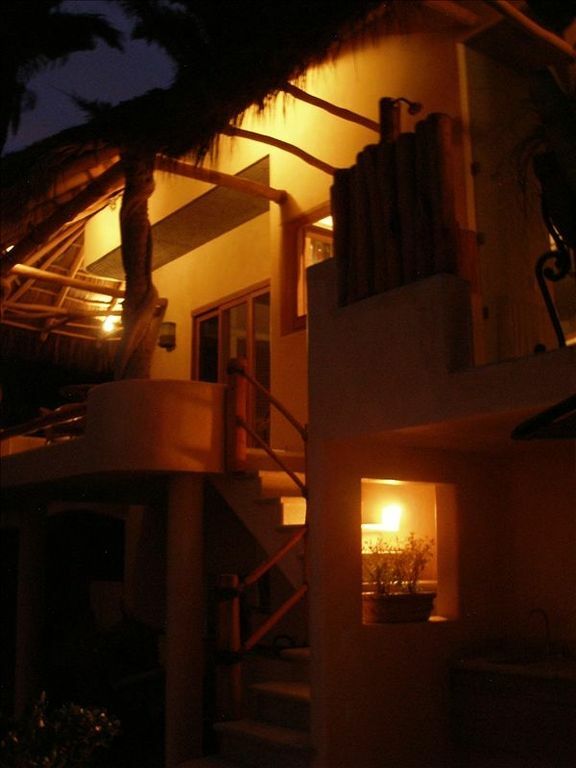 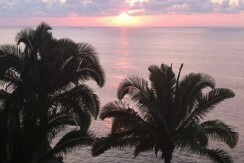 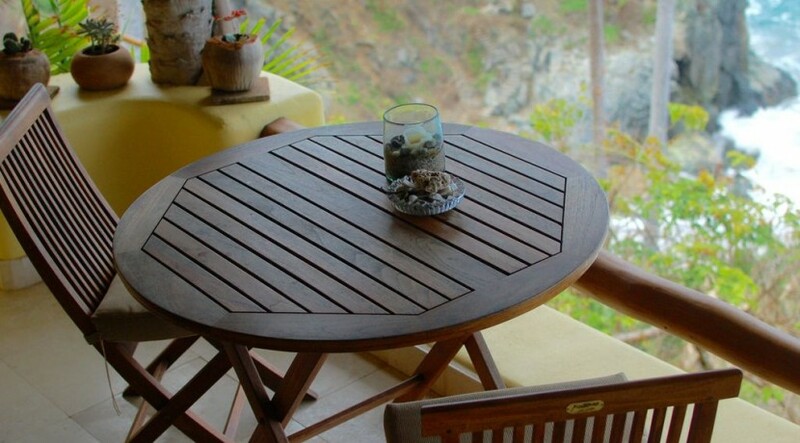 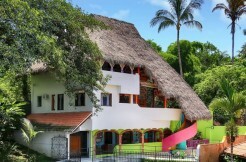 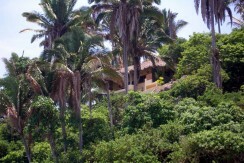 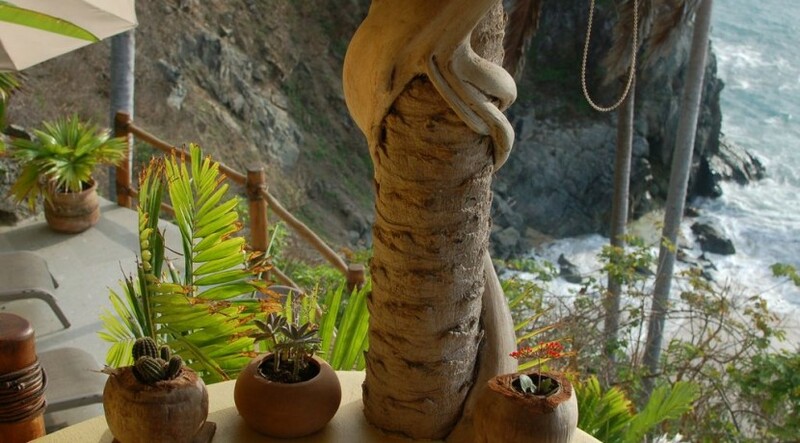 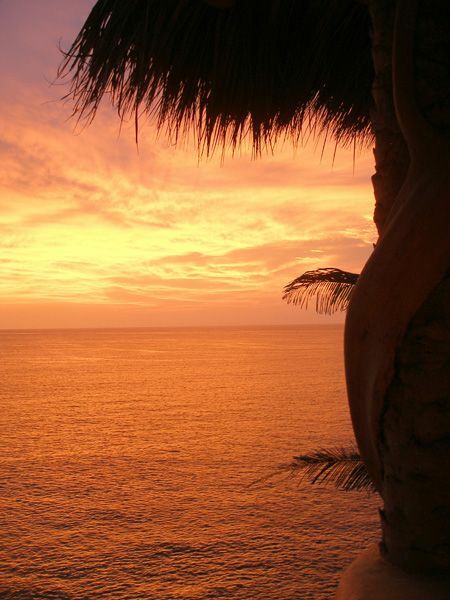 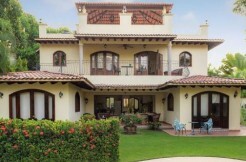 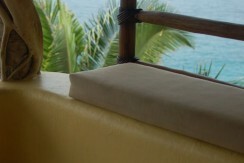 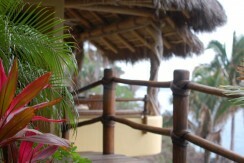 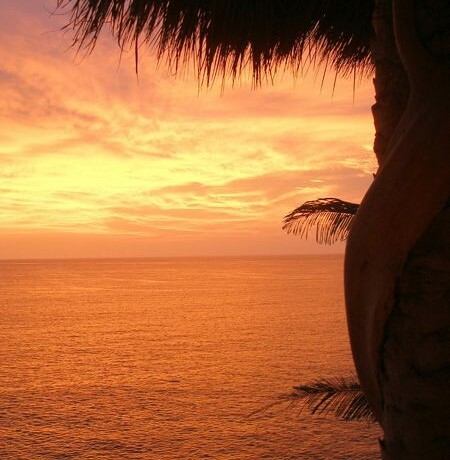 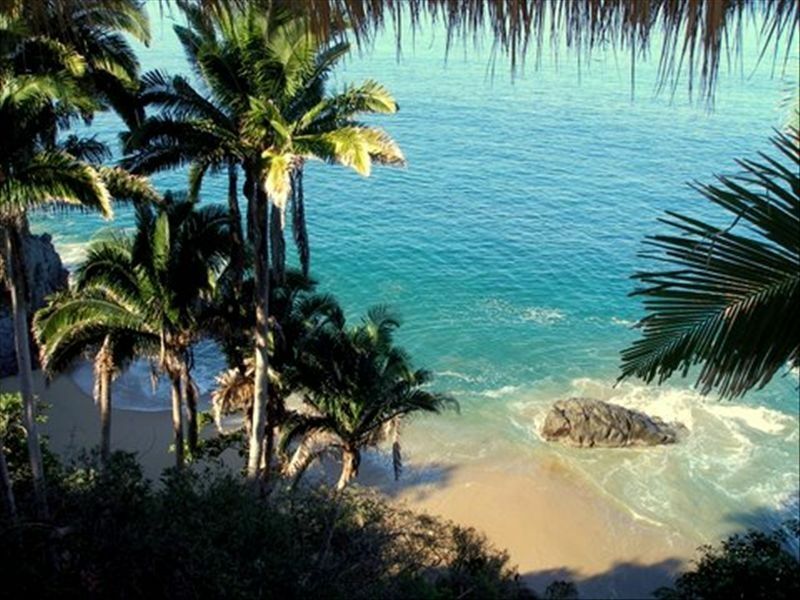 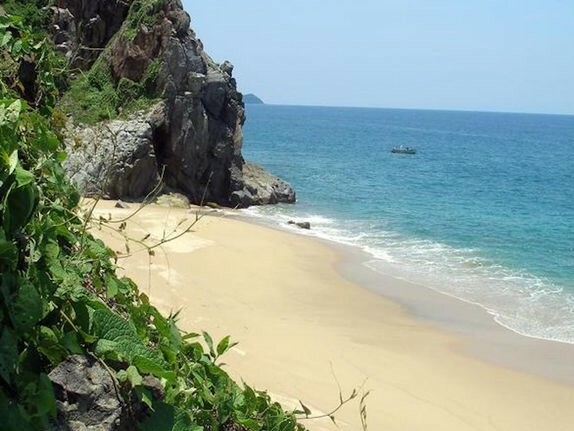 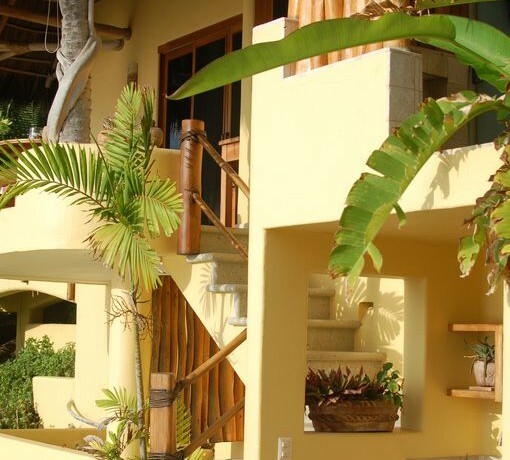 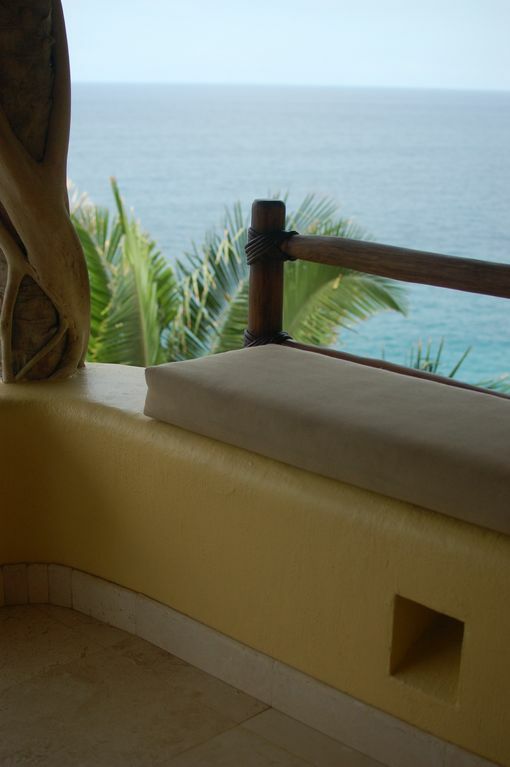 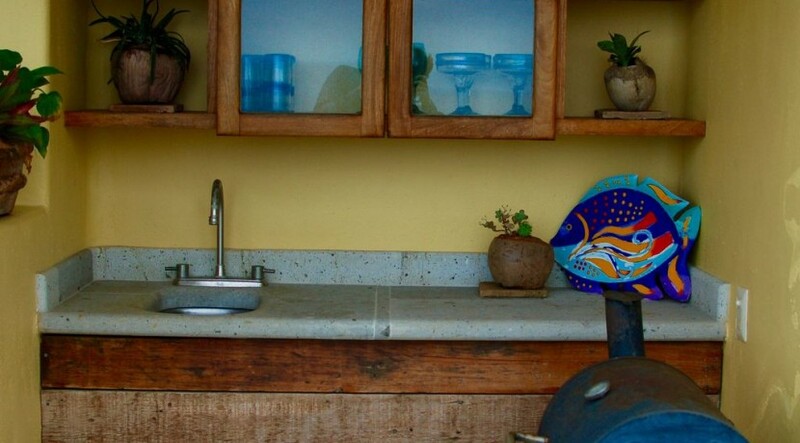 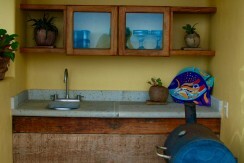 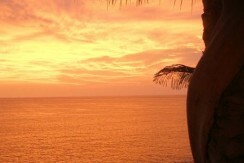 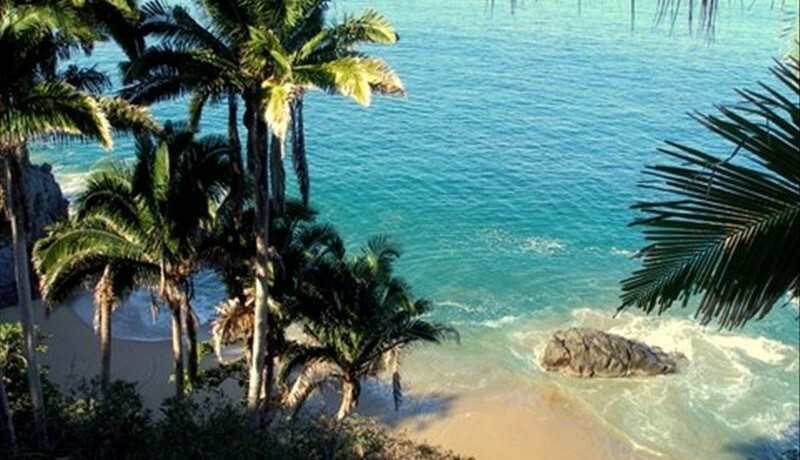 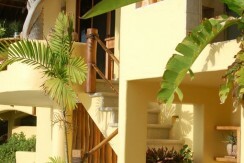 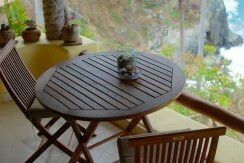 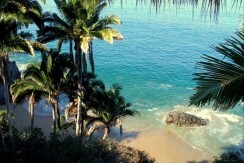 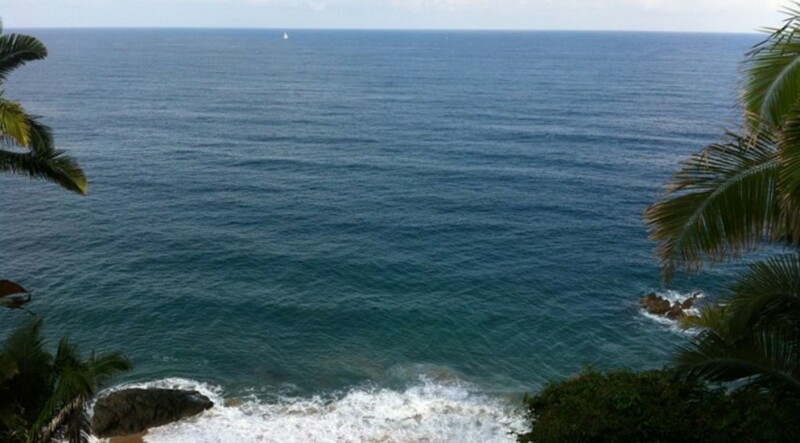 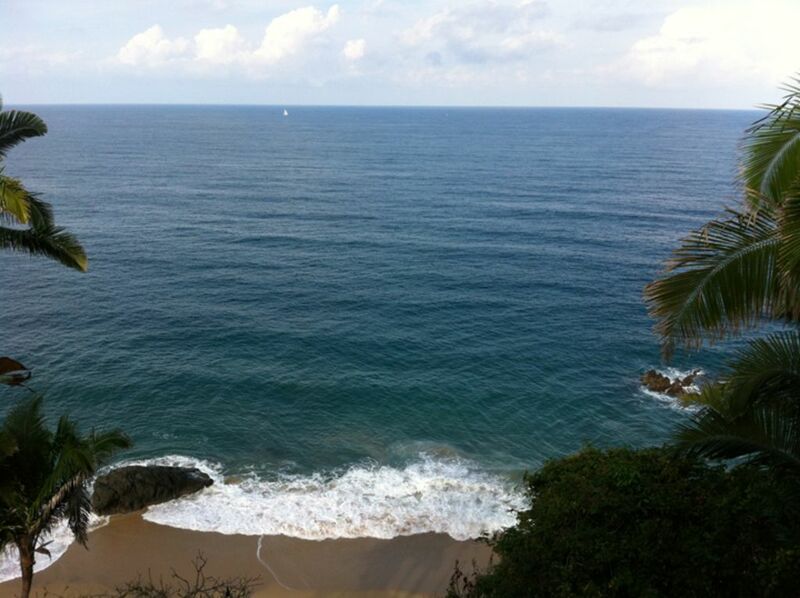 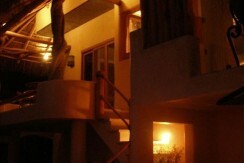 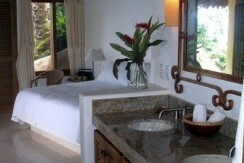 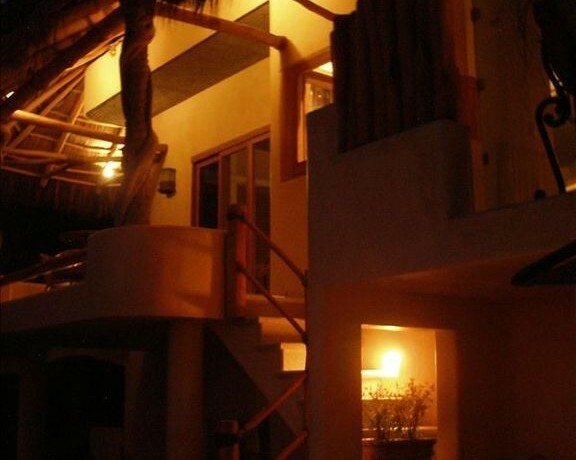 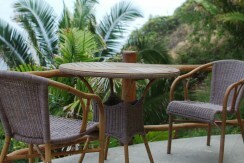 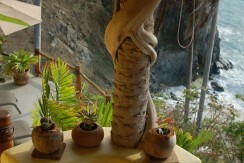 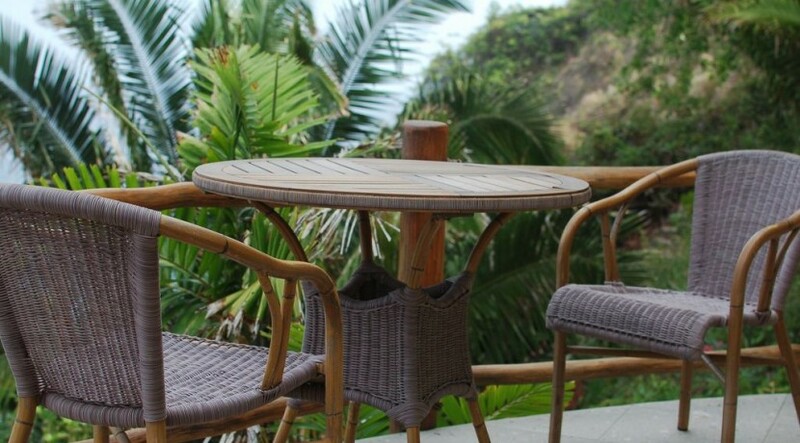 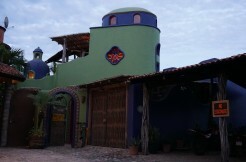 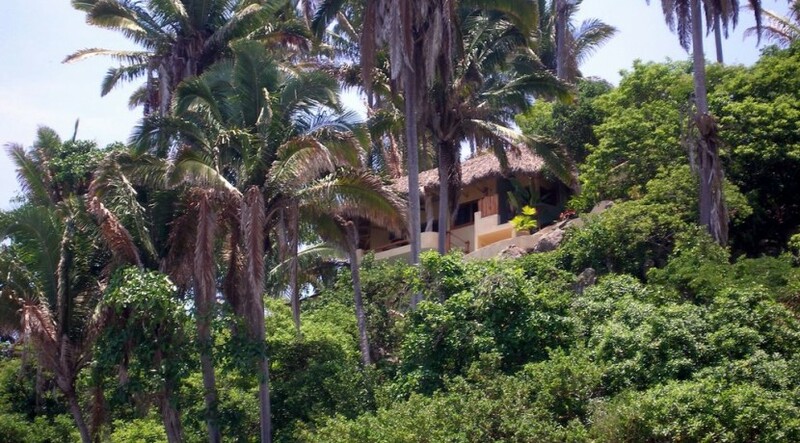 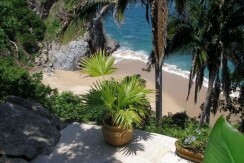 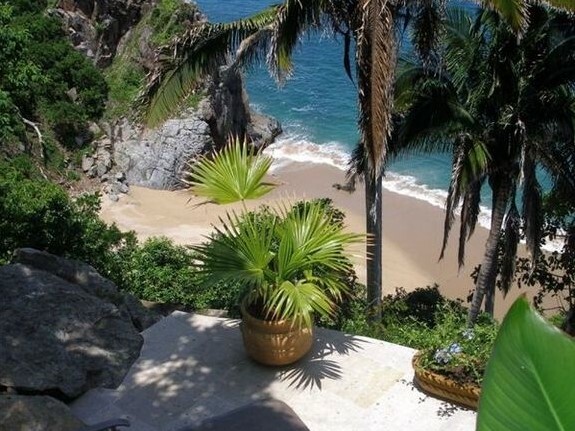 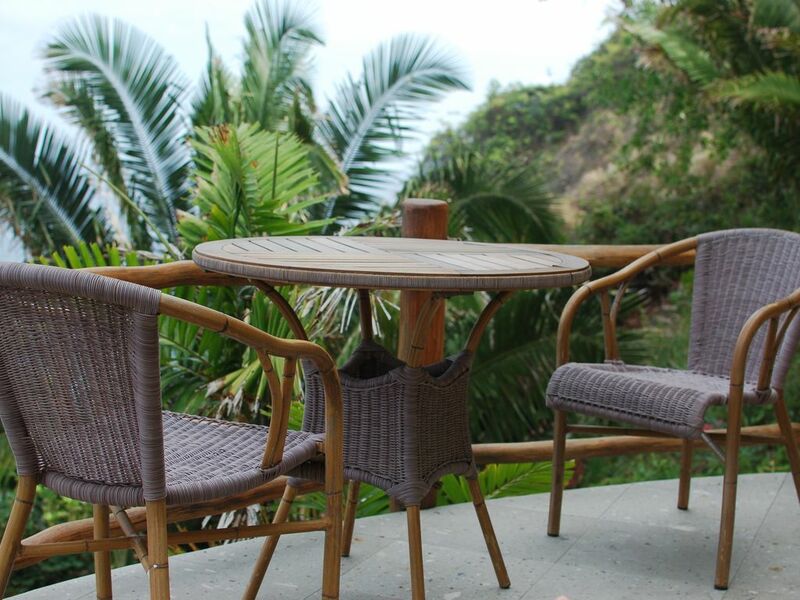 The breathtaking views include the waves breaking on the beach & cliffs below as well as the coastline south to Sayulita. 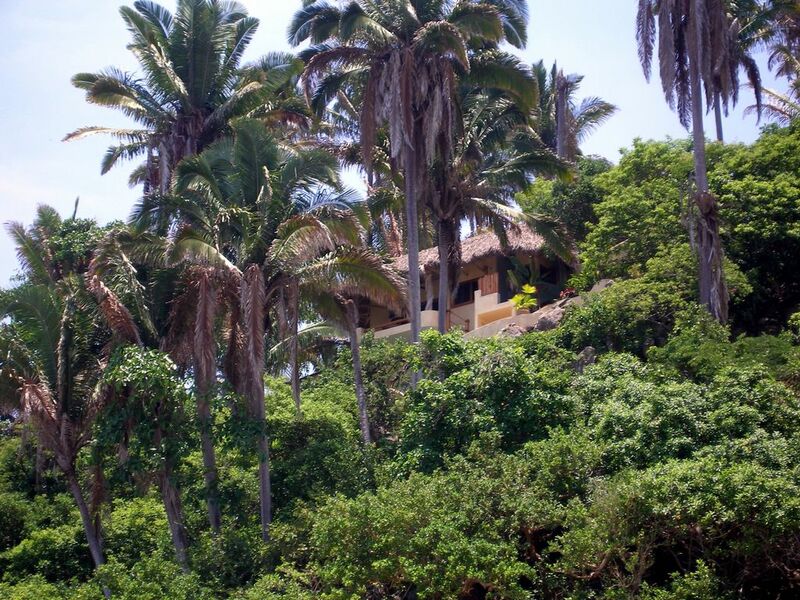 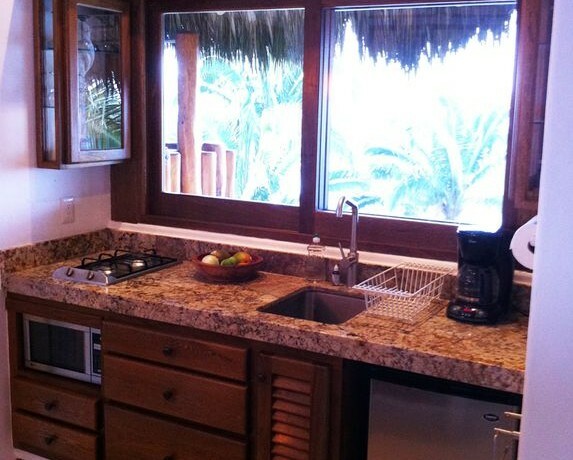 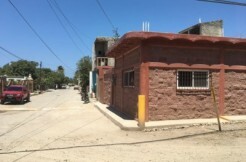 A one bedroom, open floor plan casita, perched 110 ft above a private cove beach on your own private, walled ½ acre with 180 degree coastal views of the Pacific Ocean. 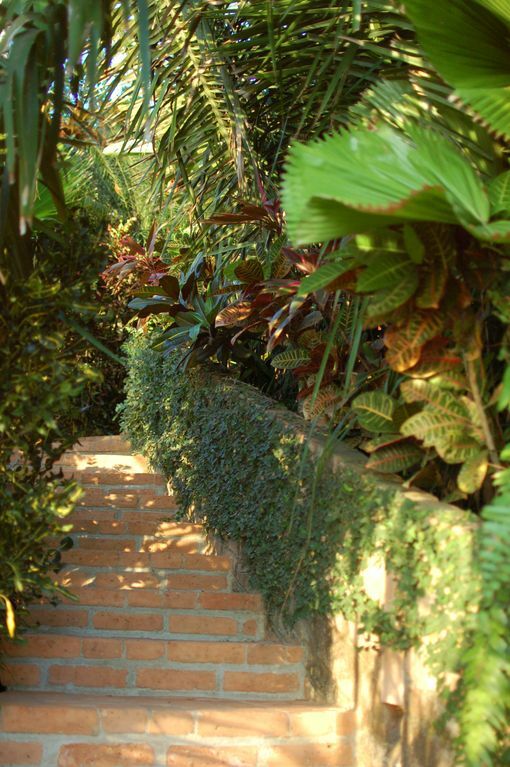 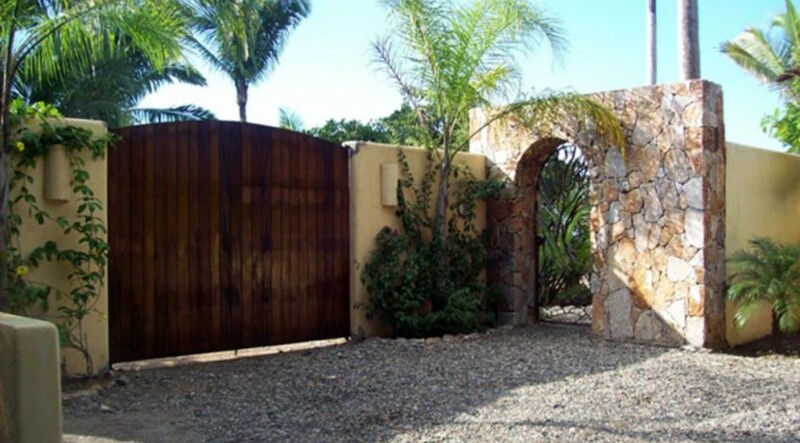 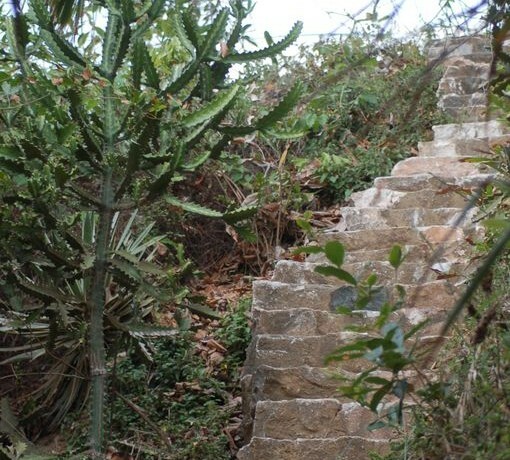 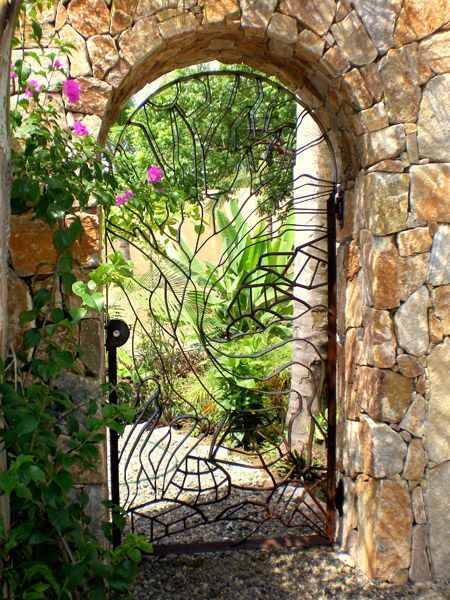 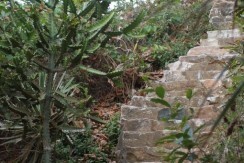 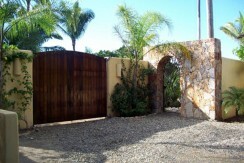 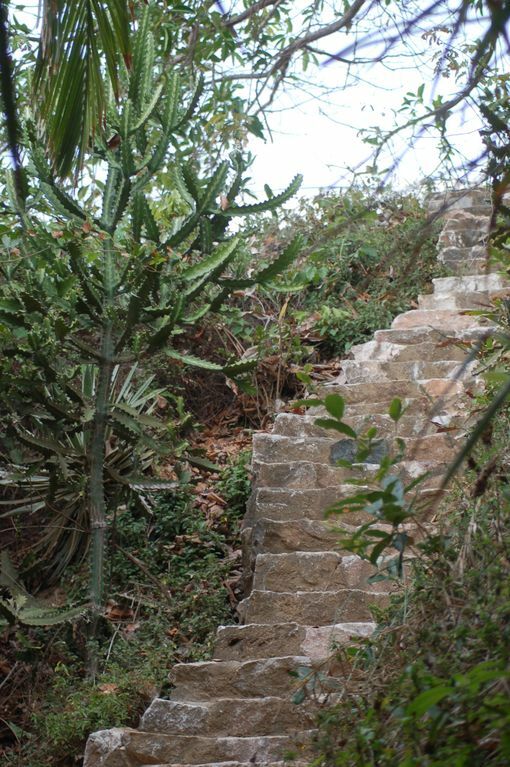 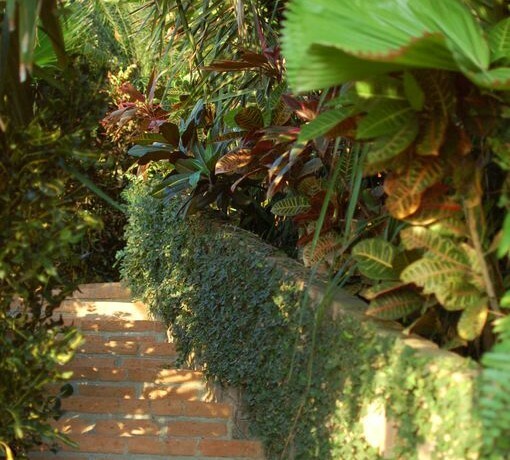 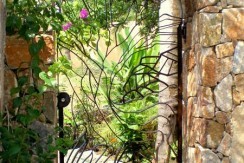 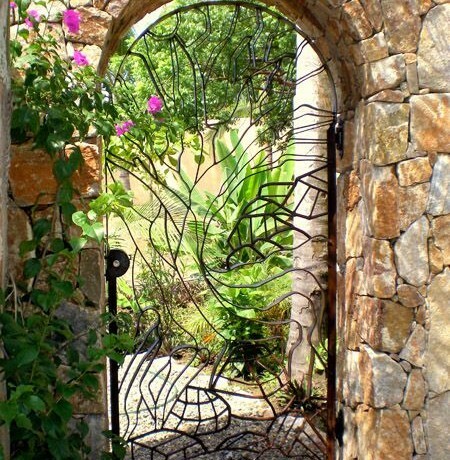 After passing through the iron entrance gate, through flowering gardens and giant palm trees, you descend several garden steps over a wooden bridge and through an antique door into the casita. 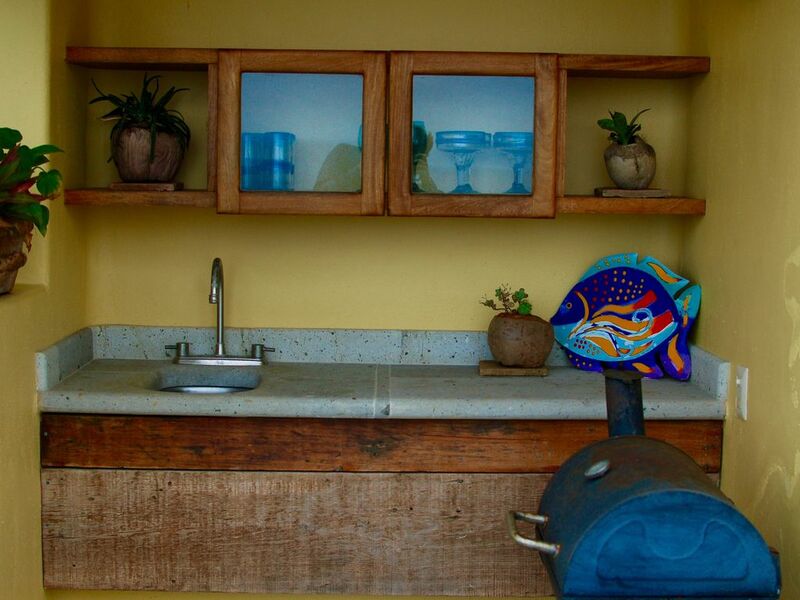 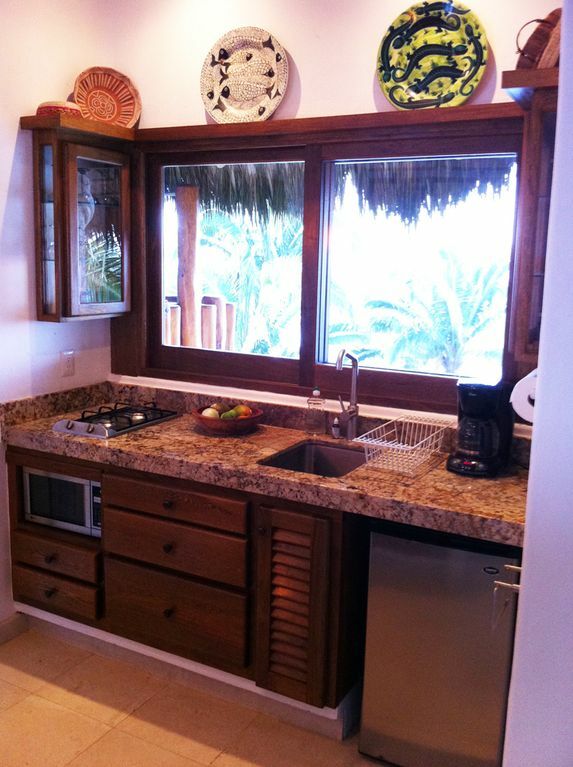 The casita is comprised of one bedroom, kitchen, double sink vanity, private WC and an outdoor shower accessible through a glass door. 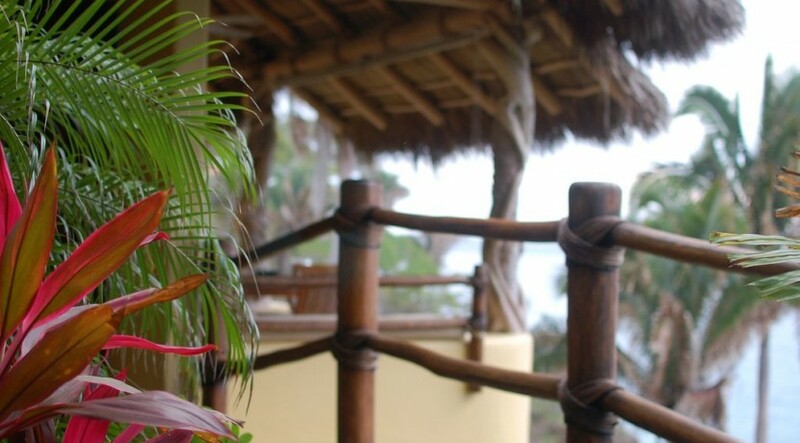 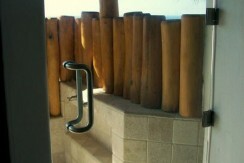 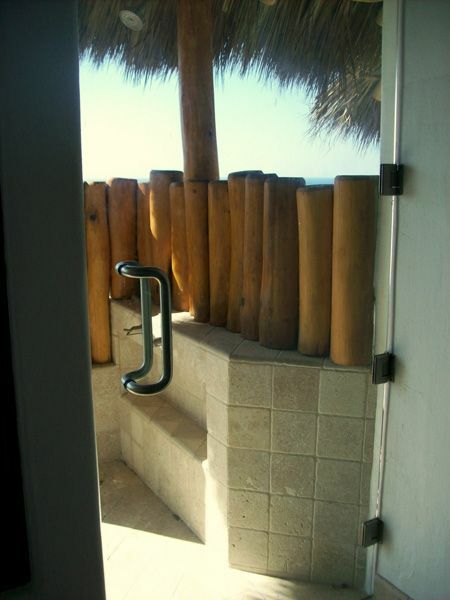 The private outdoor shower, where you may spend more time than expected, is partially enclosed on two sides, covered with a palapa roof and open to a raised garden on the third side. 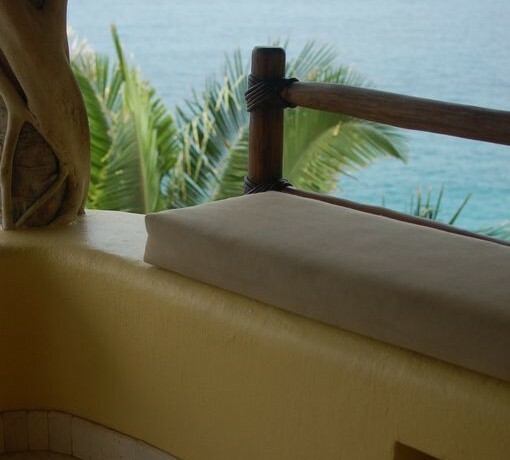 The breathtaking view from the shower includes the waves breaking on the beach & cliffs below as well as the coastline south to Sayulita. 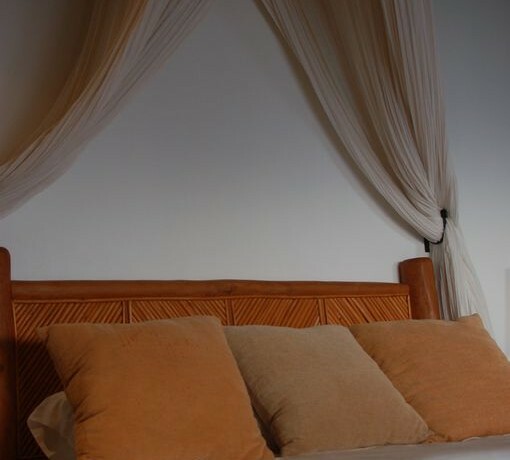 Opposite the foot of the bed are sliding doors and sliding screens to the balcony, with a palapa roof and palm tree supports, table and chairs. 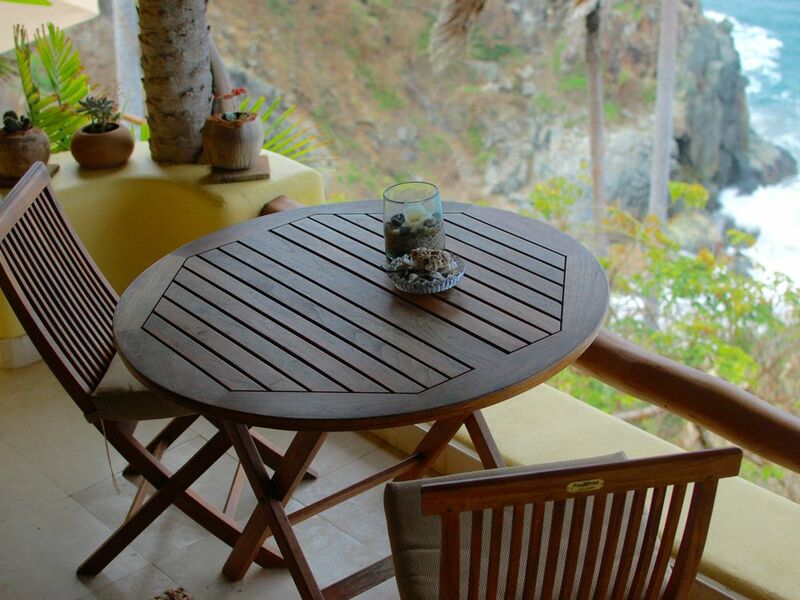 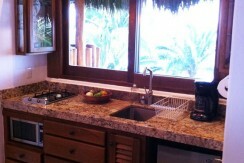 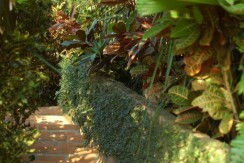 Breakfast, lunch or sunset dinner can be enjoyed here in total privacy without ever leaving home. 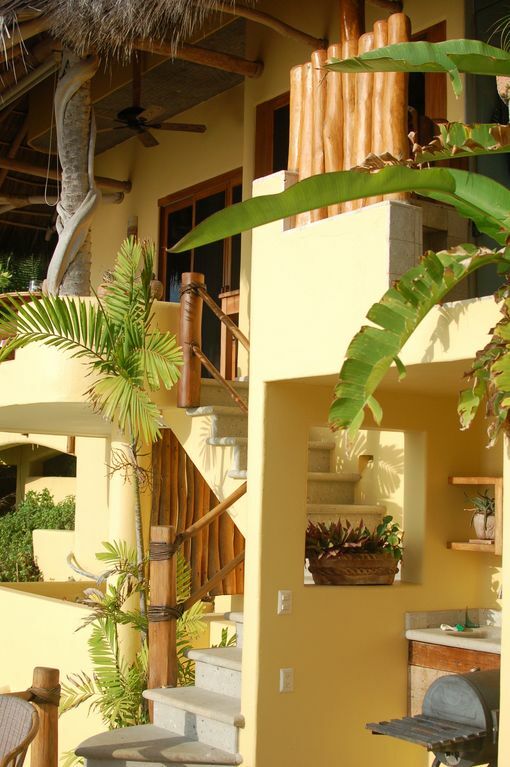 Below the balcony is a tiled sun deck with a barbecue, wet-bar, chaise lounges and umbrella. 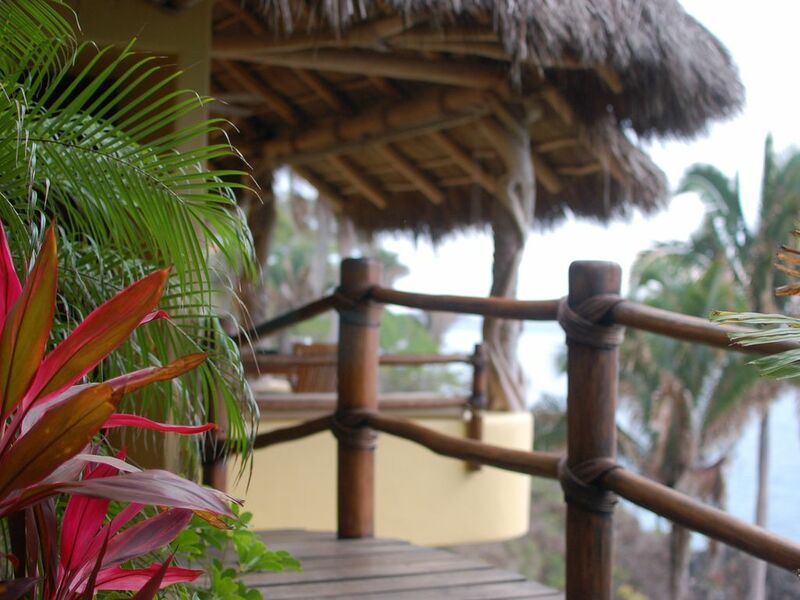 You will enjoy the feeling of being in the treetops with the flocks of pelicans that float on the air currents all day long, occasionally diving for fish below. 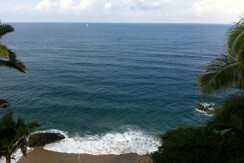 Watch for whales just to the right of the property about 3/4 mile off shore. 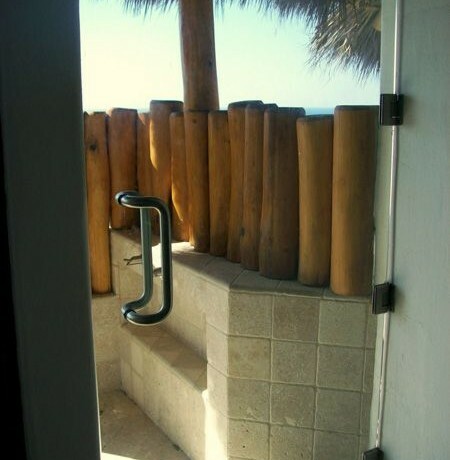 They like to spend the winter there too.